Now that we’ve all (hopefully) recovered from the holidays, it’s time to kick off the year in style with a brand new pattern. 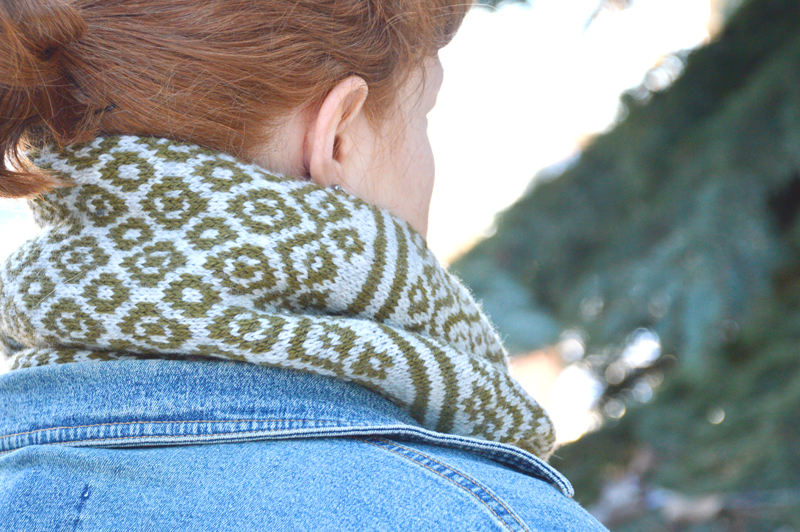 Izett is a super warm, squishy cowl designed to stand up against the harshest of winter winds. 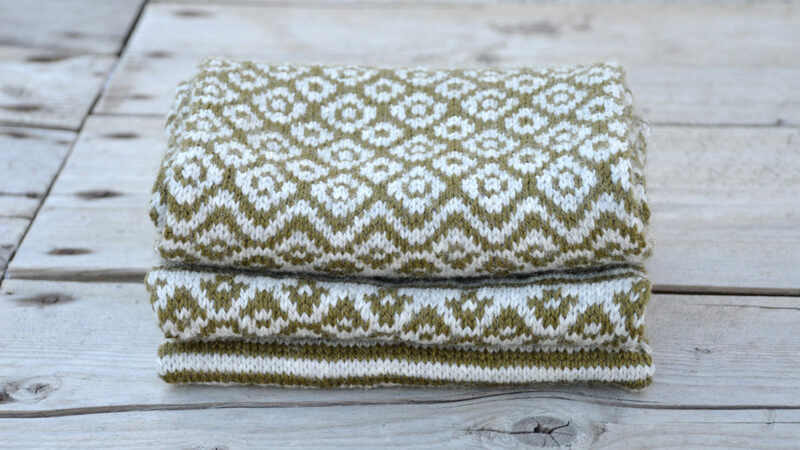 Using an easy to repeat motif utilizing stranded knitting, you provisionally cast on then knit in the round. At the end you graft the stitches together to create a seamless piece. This cowl is long enough to wrap twice around your neck, and is easily adjusted to create a shorter, single wrap cowl. For this pattern I wanted something that made a statement – and I think this stitch pattern that I came up with definitely fit the bill. If you’re anything like me, you keep your clothes pretty low key, and sometimes all you need to jazz it up is a bold accessory, and Izett is that accessory. Fun fact: I entered it into a show in summer of 2018, and the judge made a special note saying they couldn’t find the seam. I absolutely had an “achievement unlocked” moment. You can check out the pattern information right here, or pop on over to Ravelry here to get yourself this cowl. The pattern will be 15% off automatically until January 27 (midnight, MST) but if you use the coupon code IzettSocial (and follow this link right here) you’ll get 25% off.